In 2015, The CW premiered an animated series based on the DC hero Vixen on its online streaming platform. Now, both seasons of Vixen are getting a special broadcast showing. The twelve short episodes, bundled together as a two-hour feature, will air on The CW Wednesday night as a special presentation. Alongside the show will be preview footage of other shows set in the CW’s version of the DC Universe. It’s a welcome primetime debut for a television show that’s until now been relegated to the CW Seed streaming platform. Vixen is a fantastic character, and this introduction will be a great primer before a version of the character (one of our Vixen’s ancestors, it seems) appears on the third season of Legends of Tomorrow later this fall. 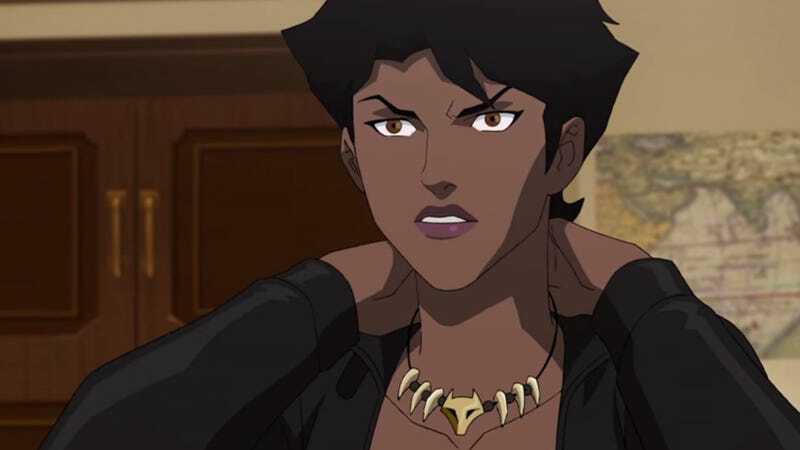 The Vixen animated series takes place in the Arrowverse, alongside Arrow, The Flash, and Legends of Tomorrow, and a number of actors from the live-action show reprise their roles in the series. Vixen herself is voiced by actress Megalyn Echikunwoke. Vixen will air this Wednesday, August 30th, on The CW.